Manila, Philippines - Basketball fans raring to be in the thick of PBA live action can now rely on their smartphones to get the latest game updates as PinoyHoops, the most comprehensive basketball app in the country today, recently made available a livestreaming feature through the app. Never miss a free throw, a foul, or a three-point shot from your favorite team again by downloading the free PinoyHoops app on the Google Play Store and the Apple App Store, now supercharged with livestreaming features. Fans can tune in and get play-by-play updates anytime, anywhere, as long as they have an Internet connection on their phones. “With the new livestreaming feature of the PinoyHoops app, we’re taking sports fans closer to where the PBA action is,” said Mitch Padua, Head for Digital Content at Voyager Innovations, Inc. (Voyager), a subsidiary of Philippine mobile leader Smart Communications, Inc. (Smart). Whenever a PBA (Philippine Basketball Association) game is airing live, users can simply go to the PinoyHoops app and click on the “Watch Live Stream” tab to watch their teams battle it out on the hard court. To make sure they don’t miss a live game, users will receive alerts for any upcoming basketball game of any team they’re following closely. This complements earlier features that allow basketball fans to follow their favorite teams and players, get live status updates from basketball personalities, and share news stories with their friends on social networking sites through the app. Pinoy Hoops Livestreaming“The livestream on the PinoyHoops app is best enjoyed with a superfast LTE connection from Smart, which paves the way for high-definition mobile content like the PBA games to be enjoyed by avid fans anytime, anywhere,” added Orlando B. Vea, Chief Wireless Advisor at Smart and Voyager President and CEO. With more than 1,000 4G-capable sites delivering up to 42 Mbps of Internet speeds around the country, Smart LTE users will be able to enjoy seamless and uninterrupted viewing of the PBA games through the PinoyHoops app. The livestream, however, is also available for users from other Internet service providers. Launched in 2013 in time for the 27th International Basketball Federation (FIBA) Asia Championship where the Philippine drew second place, the PinoyHoops app has revolutionized the way sports aficionados follow basketball action using their mobile devices. 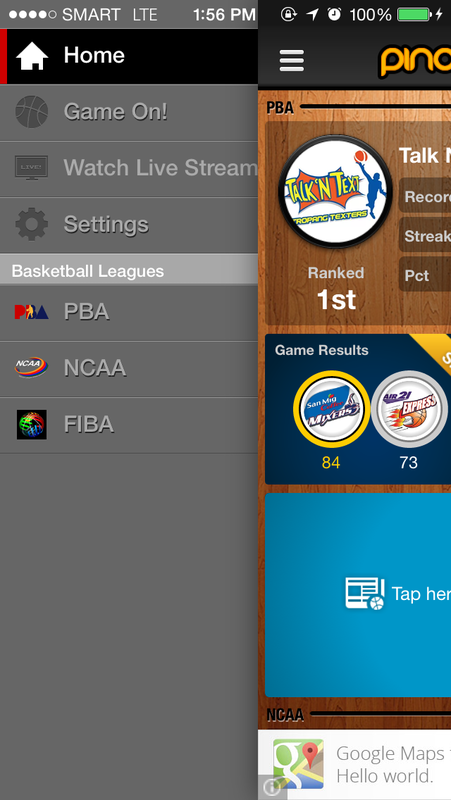 Aside from PBA games, users can also get 24/7 updates about their favorite National Collegiate Athletic Association (NCAA) teams through the PinoyHoops app. These engaging and interactive sports content are made possible through a partnership with Sports5, the sports arm of broadcast network TV5.